Raison Meadows is a wonderful villa situated at raison . Raison Meadows covers area of 22000sq. ft where our guest can enjoy a evening walk or some outdoor games . It's best place for the people who are seeking a place just like a home in himalayas. It's a peaceful place with free parking area in property . Raison Meadows is a private villa , which gives a wonderful time to stay alone in a bunglow . Bonfire is also arranged on request. It is a well designed and well maintained area . It allows only one family on a floor . So there is no disturbance . 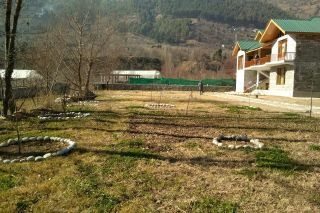 Bhuntar airport kullu is 21km far from Raison Meadows. Bus station kullu is 12 km far.